Isaiah 58:6 Is not this the fast that I choose: to loose the bonds of injustice, to undo the thongs of the yoke, to let the oppressed go free and to break every yoke? On November 8, 2013 Super Typhoon Haiyan struck the Philippines with 200 mile per hour winds and a storm surge that reached 19 feet. The destruction was immense and over 6,000 people lost their lives, 1.9 million people were rendered homeless and 6 million people were displaced. This was a major tragedy, with it’s greatest impact on the poor. As I surveyed the destruction in Tacloban during the weeks after the typhoon, I reflected on the inequity of being materially poor. The vast majority of those remaining in Tacloban were the poor. Besides the physical and emotional injuries from the typhoon, the diseases of poverty were readily apparent in the survivors due to poor access to health care, poor nutrition and toxin exposure. These are conditions which we have imposed on our brothers and sisters, either through commission or neglect. I could understand (but not condone) that. What seemed exceedingly unfair to me was that the poor were treated badly, even by nature. We can break the bonds of injustice of man through prayer, advocacy and example, but how do we change the inequity of nature? I could see that even here, the fault does lie with humankind. We cannot change the force of the wind or reduce the storm surge of a storm of a 200 mph typhoon. However we can build up the resilience of the people to better withstand the forces of nature. We can improve the health of the poor to allow them to better survive and recover from disaster. We can improve the living standards so the people can have more substantial homes. We can reduce income inequality so the poor don’t have to live in the most vulnerable margins of the land. We can reduce the CO2 production to reduce the odds of developing even bigger and more devastating storms. More storms will come, more earthquakes will occur and more droughts will afflict the land. It is never a question of whether another disaster will occur, but when and where it will occur. The poor will always be with us. However, we are called to care for them as our neighbors and family and to alleviate their suffering and to care for the land which sustains them. We should make this care a priority in our lives. We should do what we can to build them up and to petition our leaders to care for those who Jesus called ‘the least of these’. Lord, help me to push past the constraints of my fears to confront those forces that oppress God’s people; to lift up those who have little, to comfort those who suffer and help heal all of God’s creation. Rick Randolph is a family physician in Lenexa Kansas who has worked extensively in the developing world. He has provided primary care, public health and disaster response in the US, the Caribbean, sub-Saharan Africa and the Philippines. Rick is a member of Grace Covenant Presbyterian in Heartland Presbytery. See what's happening in the Southeast! In support of pollution reduction in the Chesapeake Bay and in local streams and rivers. I testified, as a member of First Presbyterian Church of Howard County and on behalf of the Earth Forum of Howard County, to request an unfavorable report from the House Environmental Matters Committee on House Bill 50-97-895, which would repeal the Stormwater Management - Watershed Protection and Restoration Program enacted in 2012. My position was that that many people in faith communities support the Stormwater management legislation and that the 2012 law should be kept in place without modification. Approximately 25 Delegates and 150 people attended this hearing. Background: Stormwater is a substantial source of nutrient and sediment pollution, and other toxic pollutants including pesticides, fouling local waterways and the Chesapeake Bay. In Maryland, stormwater accounts for roughly 19% of the nitrogen pollution reaching the Bay each year. As part of the Chesapeake Bay Total Maximum Daily Load (TMDL), Maryland has targeted stormwater nitrogen load reductions of roughly 18%, requiring local retrofits as the primary means of achieving such reductions. Unfortunately, stormwater retrofits – installing control measures where previously none existed, or upgrading inadequate control measures – are some of the most costly pollution reductions to be accomplished in Maryland’s Watershed Implementation Plan (WIP). Under current law, the 10 largest local jurisdictions – those with federally-mandated stormwater management programs – were required to develop stormwater utilities and assess fees within their jurisdictions in order to finance stormwater management retrofits, stream restorations, and related stormwater projects. The guiding principle behind such programs is that all properties that contribute stormwater to local waterways should share the burden of correcting the problems caused by the runoff. 1) Ask the members of Congress to support full funding for the EPA Chesapeake Bay Program AND for the Clean Water State Revolving Fund. • The President’s 2015 budget, recently released, requested $73.1 million for the EPA Chesapeake Bay Program. • This program provides critical support to the states to implement clean water programs and last year Congress directed EPA to provide at least $10 million for the Chesapeake Stewardship Grants with $54 million for the Small Watersheds Grants, currently administered by the National Fish and Wildlife Foundation. • In FY 2014 Congress provided $1.5 billion for the Clean Water State Revolving Fund, which provides low interest loans to local governments for clean water infrastructure project. This is critical for the 1,779 local governments in the Bay watershed. 2) Ask members of Congress to cosponsor and support the FRAC Act, the FRESHER Act, and the CLEANER Act to protect our local water resources from the impacts of natural gas development. These bills remove loopholes that allow the oil and gas industry to be the only one in the United States not covered by these provisions meant to protect public health. FRAC Act (H.R, 1921, S 1135): The Fracturing Responsibility and Awareness of Chemical Act protects drinking water sources by closing a 200S Safe Drinking Water Act loophole exempting drilling technology involving underground injection. - EPA would set standards that would allow for states to integrate the methodology into their own permitting processes. - Would also require drilling companies to disclose chemicals used to break and keep open the rocks to extract gas. Proprietary formulas would not be disclosed unless in a public health emergency. FRESHER Act (H.R. 1175): The Focused Reduction of Effluence and Stormwater runoff through Hydrofracking Environmental Regulation Act would close a loophole in the Clean Water Act that exempts oil and gas construction and drilling facilities form obtaining stormwater runoff permits. This Act requires the Secretary of the Interior to submit a report on the impacts of stormwater runoff on surface and groundwater resources from oil and gas operations. The CLEANER Act (H.R. 2825): The Closing Loopholes and Ending Arbitrary and Needless Evasion of Regulations Act would eliminate a loophole exempting oil and gas waste from hazardous waste disposal safety standards in the Resource Conservation and Recovery Act (RCRA). This would reduce impacts to surface and groundwater as well as drinking water based on the handling and disposal of waste. - Establish up to five regional Centers of Excellence (at land grant universities) to conduct research, provide training and offer technical assistance on innovative approaches to managing polluted runoff. On February 8, 2014, I took PEC brochures to pass out at the meeting of 35 people from various parts of the Baltimore Presbytery, who were attending the Presbyterians in Annapolis Legislative Day. I have begun conversations with a contact in the National Capitol Region Presbytery and with a contact in Philadelphia about doing some PEC work together in those areas. Earth Forum of Howard County, Sunday, March 16, 2014, 2 PM, presents: “Why Garden: Successful and Sustainable Gardening in a Changing Climate" with Dr. Sara Via, Dept. of Biology and Dept. of Entomology, University of Maryland, and “Insights on Environmental Legislation” with Maryland Senator Brian Frosh. The Earth Forum is held at the First Presbyterian Church of Howard County, Columbia, Md. Participants may welcome the arrival of spring at the Earth Forum, while perfecting plan for their gardens and supporting eco-systems. They will learn practical techniques for successful gardening in our new and challenging environment as Dr. Via shows how gardeners can be an important part of the climate change solution while creating peaceful and restorative landscapes and growing healthy food. Also featured on the program is Sen. Frosh, who will giber an up-to-the minute analysis of Earth supporting-legislation being considered during the current legislation session. Completing the program is a Spring Faire of fifteen gardening learning stations illustrating gardens and gardening techniques to expand your gardening experience and answer your Tasty refreshments will complement the program. Contact us at earthforum@firstpreshc.org or call 410-730-3545. We need to be calling out to the Lord to help us defend Creation from the multiple assaults that are occurring daily. You have undoubtedly heard of GMO foods, but do you know about genetically engineered (GE) trees? Like GMO foods, GE trees have been genetically modified to possess certain desirable traits, such as making them more economical to grow. For example, ArborGen is seeking fast track approval from the USDA to sell their cold-tolerant GE eucalyptus seedlings for vast plantations in the Southeast to be used as fuel. Eucalyptus has many drawbacks including that it is flammable and could result in devastating wildfires, it is water depleting and diminishes supplies for communities, forests and other ecosystems, and it is highly invasive. Unlike GMO foods, GE trees are not annuals like corn and soybeans. They continue to grow for decades, spreading their seeds and pollen vast distances and increasing the chance of contamination from plantation to forest. GE eucalyptus is only the beginning and if it is approved, GE poplar and GE pine won’t be far behind. What if native trees become contaminated with GE pine pollen to produce hybrid trees, for example, and our forests now contain copyrighted genes that ArborGen claims are theirs? Will ArborGen own trees in our national forests, like Monsanto has claimed that their GMO corn is in fields where it was never planted? When we call out, the Lord will answer and say here I am, assuring us in this time of trouble. In a situation like this, Isaiah tells us to examine our own conscience and not point our finger directly at ArborGen or speak evil of GE trees. How does our desire for abundant and affordable energy drive this frantic search for quick sources of fuel? Are we guilty of holding back our voices about various abuses to God’s creation? Creator God, we call out to you and ask for your help in protecting the wondrous world you have given us to call home. You answer us and say, “Here I am.” May your presence give us the strength and courage to lift up our voices like a trumpet and speak out about the injustices to your creation that we witness each day. 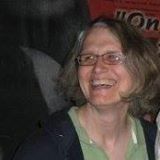 Jane Laping is the Vice Moderator of Presbyterians for Earth Care, is on the steering committee of Western North Carolina Green Congregations, and heads up the Creation Care Team at First Presbyterian Church in Asheville. She has been an advocate for the environment since the 1970’s. Read PEC's Spring Update Now! PEC's Spring Update is Here! “BE BOLD” is a theme that is prominent in Earth Care Advocacy as 2014 unfolds. It is a theme we might listen for as we awaken from the long winter and refresh and reengage ourselves in our ministry as spring (finally) approaches. 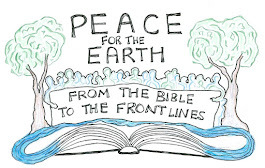 We hear BOLD in the theme of the 2014 PEC Lenten reflections, “Advocating for Environmental and Social Justice”, as we hear the words of Isaiah, Shout out, do not hold back! Lift up your voice like a trumpet! (Isaiah 58:1). I am grateful for all those who have shared in this set of reflections, from Ash Wednesday through Earth DaySunday on April 27 (the Sunday after Easter.) The offerings submitted are food for thought and action particularly pertinent to our faith-based ministry. 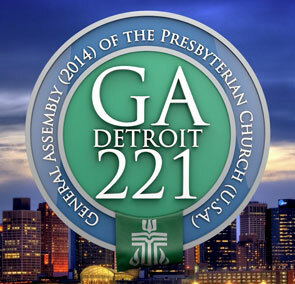 We hear BOLD in the voices of those who have written and concurred with overtures for the 2014 General Assembly. Those overtures currently include “On Divestment from Fossil Fuel Companies”, “Importance of Sustainable Development and the Precautionary Principle”, “On Food Sovereignty for All”, and the overture on coal transport and export. A great deal of work and ‘boldness’ has gone into these overtures, and it will be very exciting to watch as the process of enlightenment and engagement enfolds up to, through, and after GA 2014. There is excitement and BOLDness as the 2014 PEC Advocacy Team looks toward new ways of resourcing and supporting work in creation care particularly in areas of climate change, sustainable development, in caring for water, soil, air. We continue to partner with Fossil Free PCUSA as divestment from fossil fuels sparks fiery and important conversations! BE BOLD, holding fast to the words from Isaiah 58:8,Then your light shall break forth like the dawn, and your healing shall spring up quickly; your vindicator shall go before you, the glory of the LORD shall be your rear guard. Let us pray for vision, creativity, and strength as we re-engage in 2014 toward deeper and meaningful eco-justice! Read the entire Spring Update here! This Lenten season, we focus on a call to advocate for God’s planet and God’s people. As followers of Christ, when we see injustices, we are called to make them right. In today’s world of ever-mounting injustices and inequity, it is more important than ever to have faithful voices working to make change. In the words of the prophet Isaiah, “Shout out, do not hold back! Lift up your voice like a trumpet!” People of faith have been lifting up their voices on behalf of clean water and the preservation of native culture in Alaska. Bristol Bay, Alaska embodies the magnificent beauty and intricacy of God’s creation. This rugged area is also incredibly delicate, but has managed to support and sustain the well-being of God’s people for generations. A proposed open-pit mine at the headwaters of the Bay threatens this balance and the livelihood of many that rely on it. Bristol Bay has supported Alaskan native subsistence fishermen with salmon, commercial fishermen with a vibrant industry, and thousands of individuals with a healthy and diverse home. The mine would destroy streams, spawning areas for salmon, and contaminate this pristine watershed. It is very difficult to deny the importance of clean water in our lives, as well as its importance to the health of the planet, fish, and wildlife. When a threat to this resource arises, stewards of God’s creation must spring into action. The Environmental Protection Agency released their Watershed Assessment of the Bay on the heels of aletter sent from faith leaders to the Administrator asking for the assessment to be completed. This scientific assessment of Bristol Bay asserted that the mine would be harmful to the salmon runs and that “salmon decline would lead to decline in Alaska Native culture, and spiritual life.” We have recently received wonderful news that the EPA has decided to implement the Clean Water Act to stop the mine from going in. There is still a process to go through, but we are very joyful about getting justice for Native Alaskans. God’s gift of clean water should not be taken for granted, and we are called to be advocates for this resource and those that depend on it. Read more about the spiritual importance of water with Creation Justice Ministries’ 2014 Earth Day resource Water, Holy Water. We give thanks to you Lord. 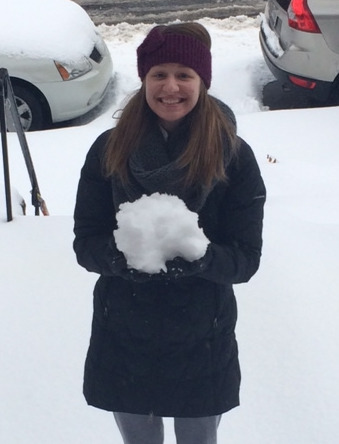 Tricia Bruckbauer is an Eco-Justice Fellow at Creation Justice Ministries (CJM), formerly the National Council of Churches Eco-Justice Program. CJM represents 37 Christian denominations and their policies relating to Creation care. To learn more visitwww.creationjustice.org Tricia also coordinates the efforts of Presbyterians for Earth Care. If you are a member of PEC, you are invited to nominate individuals and organizations for two awards to be presented during this summer’s General Assembly. You may nominate Individuals to receive the William Gibson Lifetime Achievement Award and or a faith-based organization, including congregations, governing bodies, ecumenical agencies, and Presbyterian-related entities for the Restoring Creation Award. We generally look for award nominees within the general region of General Assembly, which is being held in Detroit, MI this year. For more information on the specific criteria for award nominations, please visit our website for details. A list of previous winners can be accessed on our web page, and last year's winners were Rev. David Gill and Solar Under the Sun. Rev. Gill is the Executive Director of Ferncliff Camp and Conference Center and he was awarded the William Gibson Lifetime Achievement Award. Solar Under the Sun was awarded the Restoring Creation Award for their work to design and install solar power systems in communities that lack reliable power. Read more about the 2013 winners HERE! Don't forget to nominate individuals and organizations for the awards! In this Lenten season, we are called to reflect on the quarrels that are having consequences for our society, for they have the potential to harm our relationship with God. We are living in a culture that does not worship the common good. We worship the gods of economic growth and individual self-interest. In our political sphere there is little agreement on anything. If anyone wins from our political arguments, it is big business and not the individuals who need the circle of protection that government can provide. In the pursuit of economic growth, God’s creation seems to be suffering. But the quarrels are very complicated. Fracking can cause harm to the earth and to God’s people. Yet there are quarrels that say fracking is making us energy independent, which makes our society safer. And if you Google ‘Presbyterian churches gas and oil lease’ you will find that churches who own land in areas of gas and oil drilling are leasing their land for drilling, you will find that Presbyteries have policies for churches who plan to lease their land, and you will find camps that negotiate to have pipelines built on their property. Some may quarrel that gas and oil drilling harms God’s creation. They quarrel that we need to find different sources of energy. However, those that lease their property are using the revenues to further the mission of God’s church and to enhance the Christian camping experience. In some ways this is a quarrel between our responsibility to tend and serve God’s creation and our desire to grow God’s church deep and wide. Some churches allow cell phone companies to lease their steeples, a resource that they have, to fund ministries that their membership is not able to fund. The churches that are leasing their property to oil and gas companies are doing the same thing. Should they be able to use their resources to further God’s church? These are not easy quarrels. May we use this Lenten season to consider together new possibilities that will allow churches to tend and serve God’s creation and to grow God’s church. Sue Smith is the Treasurer of Presbyterians for Earth Care. She is a member of the First Presbyterian Church of Rumson (NJ). 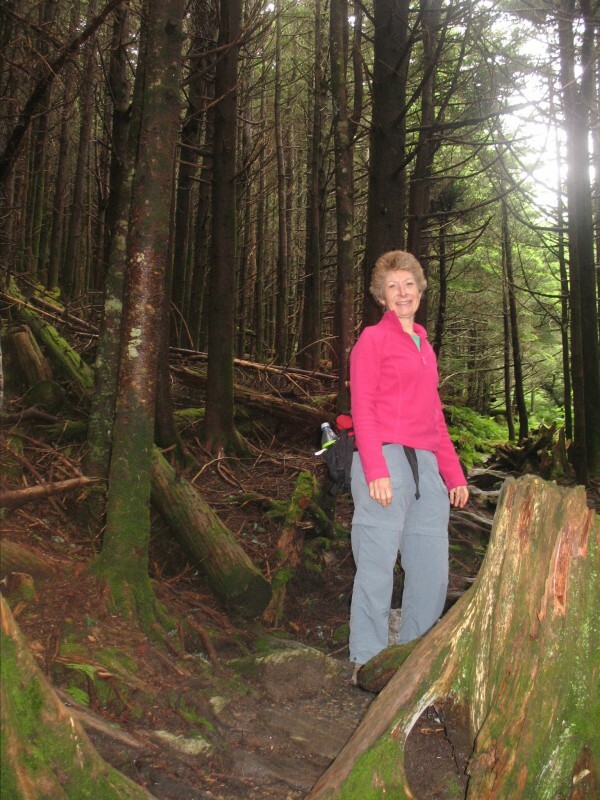 Sue is a GreenFaith Fellow and a student at New Brunswick Theological Seminary. Laurence Hull Stookey, Calendar: Christ’s Time for the Church, (Nashville, TN: Abingdon Press, 1996), 80. On this Ash Wednesday, we receive an odd word for Lent from the prophet Isaiah. As we begin our own season of fasting, we confront a text that implies our spiritual discipline may be without meaning (or worse, concealing a greater injustice). Not exactly the encouragement we could use right about now! We in the environmental movement, much like Isaiah’s own people, often think that if we just fast enough—or, in our case, eat enough local, organic food, recycle and compost, walk or use a bike, use alternative energy, and drink only from reusable water bottles—we can be holy and no longer complicit in destructive systems. But Ash Wednesday and Isaiah remind us that the path to holiness is marked not by the ways we extract ourselves from the world but by the ways we thrust ourselves into that world. God’s complaint is not with fasting; it’s not with biking or growing your own food—these are noble acts. It’s that there is a world suffering—and it has far more use for troublemakers unafraid to walk through grime and sin to link arms with the rest of creation than for righteous churchgoers who perform their feel-good acts of piety from behind privileged walls. So let’s not be discouraged in our own efforts to adopt spiritual disciplines that enable us to hear God’s voice more clearly or practices that align our lifestyle with our principles. Let’s rather hear a cry this Lent to do more. If we want to get closer to God, we must seek out the worker, the person who bears the brunt of environmental waste, the farmer imprisoned by GMOs, the uncle who vehemently disagrees with us, the person who has no access to fresh food or cannot afford to buy organic, and all of God’s children, human and not. You saved us by taking on flesh and walking this long, muddy road to Calvary with us. Inspire us to walk a little longer and not forsake the road for more pleasant pieties. But turn not also from our fasting; rather make of our fasting a more complete offering, as we find you yet again in our earthly midst. Patrick David Heery is an ordained teaching elder in the Presbyterian Church (U.S.A.) and the editor of Presbyterians Today magazine. An avid nature-lover, he helped found the Environmentally Conscious Organization of Seminarians at Princeton Theological Seminary and is currently involved with his local chapter of the Sierra Club.